Rover-Time is the only Chicago based dog walking company focused on providing a high standard of care for your pets. If Julia Rohan could walk every dog she met, she would. Rover-Time’s owner created this business in 2012 because she loves dogs. But she also loves working with pet parents. So while she manages the responsibility for the overall success of the entire company, her team of well-trained pet professionals deliver Rover-Time’s services across Chicago. Julia knows it takes a deep, personal touch to keep dogs and their pet owners happy because she was a dog mom first to one very deserving-of-love guy named Chauncey Billups Vanderhoff. It was this chance to nurture and better his life that steered her towards motherhood. Now she is a mom to two young children, named Archie & Lou. 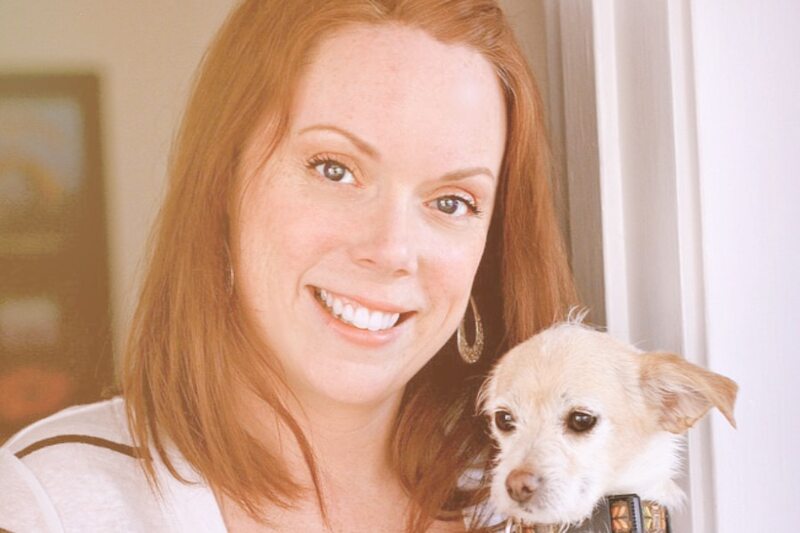 Julia welcomes you to contact her about anything pet related whether you need a resource, pet-advocate, or to be introduced to the right person. After all, dog walking isn’t just about taking care of the dogs, it’s about their owners, too! Please feel free to call, email or follow her. You can also reach out to her on Facebook or connect on LinkedIn. A fantastic bio on this fantastic person is coming soon! Anne promises that each dog she touches has some playtime built into their walks with her because getting mental exercise is just as important as physical exercise. This is a great way for all pups to use their energy so they return home feeling happy and content. Anne is currently working on becoming a nurse with hopes of becoming a nurse practitioner. She’s also a proud cat mom to two very sweet cats named Dylan and Grace. Anne manages our customers living in the Ravenswood neighborhood and she is certified in pet First Aid and CPR. Bethany believes that caring for animals is a great way to give back, to interact with a variety of dogs and their families, while giving one the chance to practice compassion, empathy, and being present. She brings a great amount of experience caring for senior dogs as a co-parent to Ralley, her partner’s fourteen-year-old English Cocker Spaniel. Bethany manages our customers living in the Avondale and Irving Park neighborhoods and she is certified in pet First Aid and CPR. Meet our Southwest Region, Team Manager. Brock supports staffing, training, communication, and growth as it relates to the dog walking team. In 2018, he viewed one of our snazzy Instagram Stories and decided it was time to take a bold leap by changing careers and applying to our team. Now he’s finding more downtime to pursue his dreams of becoming a successful podcaster and event host. Brock believes that if you put yourself in someone else’s position and think about how they would interpret your work, you’ll always give top notch service. He continues to work with our Irving Park customers and is certified in pet First Aid and CPR. Chloe grew up surrounded by dogs. From the day she was born, she hasn’t lived without a dog until leaving for college. This along with a year of freelance pet care has taught her how amazing these furry beings are and allowed her to work with a wide-span of different personalities. Despite her deep love for dogs before cats, she’s a proud cat mom of a feral rescue kitten. Chloe oversees our customers living in the Lincoln Square neighborhood and she is certified in pet First Aid and CPR. As a dog mom herself, Joanne understands how it feels to leave her pets for work or vacation. She relates to the comfort a reliable and well-trained pet professional brings to a pet parent because Joanne has been on the receiving end of hiring dog walkers for the last 8 years. She brings this experience to her work for Rover-Time and looks forward to creating special friendships with all the animals she has the opportunity to serve. Joanne joined our team in November, 2016 and is certified in pet First Aid and CPR. She oversees our Irving Park route. Meet our Northeast Region, Team Manager. Katie supports staffing, training, communication, and growth as it relates to the dog walking team. Katie believes each dog needs something different from his or her walk and gives this good advice, “As long as you are paying attention and focusing on whatever it is that makes the dog have fun (safely) then you have a happy pooch.” Katie is certified in pet First Aid and CPR and has been with the company since July, 2015. Meet our Scheduling Coordinator. Lauren is responsible for planning, executing, and managing our customer’s requests for service. This includes overseeing the daily schedule, processing new and potential clients, and maintaining daily communication between our team of Dog Walkers, our customers, and management. She’s been with our team since October, 2017. Off the clock, Lauren spends most of her time writing and editing comics and children’s books. She’s also a co-host for her podcast, Austen Vs. Bronte. She’s on the Team Bronte side of the collaboration. Michaela is a mother to three children and two dogs. She grew up in the North Center neighborhood and has lived in Chicago (on the same street!) her entire life. Michaela brings a sense of optimism, positivity, and ease to her work with our customer’s dogs. She loves managing the details to create a perfect visit each opportunity she has. Michaela joined our team in June, 2017 works with our Horner Park and North Center customers. She is certified in pet First Aid and CPR. Shaun shares his joyful personality, his high levels of integrity and loyalty, and his years of animal handling experience with Rover-Time clients. He’s raised and cared for dogs, cats, snakes, birds, and even a hedgehog. He simply loves animals and makes it his goal to bring happiness into each life he touches. Shaun is certified in pet First Aid and CPR and has been with the team since February, 2014. He manages our clients living in Edgewater and Andersonville. Vicky’s dog walking experience started when she was a child walking their Standard Poodle through the Irving Park neighborhood, where she grew up. Vicky describes herself as an empty nester now that her children have grown and moved out of the house. Taking care of your dog lets her mommy qualities be used and appreciated. Vicky joined our team in September, 2017 and manages customers living in the Old Irving to Mayfair neighborhoods. She is certified in pet First Aid and CPR. Zoë relocated back to Chicago from New York City. During her eight years living there she walked dogs and pet sat as much as possible to feed her love for all animals. When she’s not walking dogs for Rover-Time, Zoë is a classically trained actor, avid podcast listener, and book addict. Zoë is certified in pet First Aid and CPR. She manages our clients living in Albany Park and has been with the team since January, 2016. I often tell people that if I ever become ill and am in need of care, I don’t want a nurse to take care of me; I want someone from Rover-Time to do it. That’s how much I trust you all with my dog, with my home, and basically so much of my life.